I have been selected to participate in a christian mission trip to Honduras with Lutheran Theological Southern Seminary. We will be working along side the Honduran people, building, community organizing and providing a medical clinic. We will be working with Heifer International. I am hoping to raise around $2000 to help with the team’s expenses. We would appreciate your support and partnering with us. The dates for our trip will be Jan. 16th-26th, 2012. We are hoping to raise all our funds by December 20th, 2011 , so that we can purchase supplies and get ready for our trip. I would love the opportunity to share with you more about what we are doing. I decided I wanted to be part of this particular mission team because it is an opportunity to travel as well as building relationships with the Honduran people. This more than a tourist trip it is an opportunity to serve. We will be living and working with Honduran people and I expect to learn a lot from them.The mission trip is also part of a class. The trip is led by our Professor of Ethics Dan Bell. Before and after the trip we will have a variety of discussions on what it means to serve the poor as a Christian both in the US and abroad. The trip is designed to help us engage in conversations with the Honduran people on the issue of poverty. I expect to share a lot with you about what it means to live out the Gospel both here and abroad especially related to poverty issues. Our team will consist of about 12 people. It is made of up of mostly seminary students but there will be a doctor, pharmacist and nurse accompanying us as well as some local guides and translators. We will travel to Honduras which is the 2nd poorest country in Central America. The country is mostly mountainous and much of the population is rural. We will be working with Heifer International who has identified several rural villages that we will partner with to help on building projects and provide a medical clinical. We will be working with men, women and children in various capacities. Part of our mission will be joining the Honduran people in worship throughout the project. 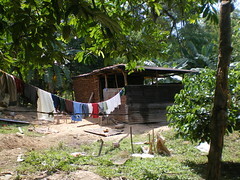 The villages where we are sent to, are some of the poorest and remote places. They have asked for assistance and we are there to provide for their needs. Your support will help us obtain a variety of supplies including medicines, building supplies and gifts for the Honduran people. If you would like to help with a donation of supplies you can contact me via email molterma@ltss.edu and I will give you a list of our needs. Thank you for your consideration and please keep our team in prayer. Henry Melchior Muhlenberg was a German Lutheran missionary during the colonial period. He is often considered the patriarch of the American Lutheran Church. He was known for his preaching in Pennsylvania all the way down to Georgia. His is a story of devotion and dedication to sharing the Gospel. Henry Melchior Muhlenberg was born in 1711 in Germany. He was ordained in 1739 and in 1742 was sent by a request from German Lutherans in America who were in need of a pastor. He arrived first in Charleston, South Carolina on Sept 22. In his journals he writes a funny anecdote about trying to make his way to Philadelphia where he was called to pastor. He wanted a ship but was told the it was too dangerous. In response he wrote that “God was well able to preserve me on a little ship and, even if I were to swim there on a plank, his hand would not be shortened. Then I went back home again, considered that I was called, not to Charleston or Georgia but to Pennsylvania.”1 Muhlenberg did make it to Pennsylvania where he eventually helped found The Ministerium of Pennsylvania in 1748. It became the first permanent Lutheran synod in the Americas. 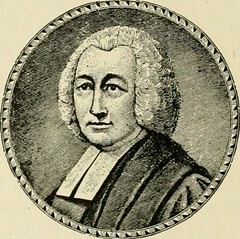 Throughout his 45 years of ministry Muhlenberg worked with other Christian traditions and even preach to Dutch, Swedish and English congregations in their natives tongues. He died in 1787. His son Peter was a general during the Revolutionary War and become a US congressman. His son Frederick become the first Speaker of the House in the US Congress. And his son Henry jr. became a pastor. The Reverend Henry Melchior Muhlenberg, was a true man of God. He helped found the American Lutheran church and preached the Gospel to all who would hear. We commemorate Henry Melchior Muhlenberg on Oct 7th. Heavenly Father, Shepherd of your people, we thank you for your Servant Henry Melchior Muhlenberg, who was faithful in the care and nurture of your flock; and we pray that, following his example and the teaching of his holy life, we my by your grace grow into the stature of the fullness of our Lord and Savior Jesus Christ; who lives and reigns with you and the Holy Spirit, one God, for ever and ever. St. Francis of Assisi is a popular Saint. He commonly was known as the patron saint of animals and the founder of the Franciscan Order of monks. I would like to offer a broader scope to his witness for Christ that we might learn from his example. St. Francis was born in 1181 in Italy. He was the son of a wealthy cloth merchant. He was known for wild living and his love of French culture. The name Francis comes from his nickname Francesco or “little Frenchman” in Italian. He spent time as a soldier and was even imprisoned. On a pilgrimage to Rome, he becomes so concerned with the plight of the poor that he took a vow of poverty. It was during this time that he become known for his love of animals, simplistic lifestyle and advocacy for the poor. He founded the Franciscan Order of monks as a result of many people who began to follow his example of poverty and service in Christ’s name. Later, legend says during the crusades he risked his own life to preach the Gospel to the Muslims. He even appeared before a Muslim ruler who although not converted respected Francis and offered him safe passage. 1 Later in life Francis received the stigmata or the wounds of Christ. Many saw this as God declaring Francis holy and being literally transformed into the image of Christ. He died in 1226. 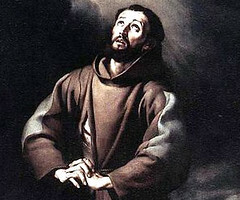 Saint Francis is an example of living a life foolishly for Christ. He lived in poverty, service, and was unafraid to preach the Gospel through word and deed. He is a true example of what it means to be transformed into Christ’s Image. We commemorate Saint Francis on October 4th.